A twenty-year NHL veteran and President of Hockey Operations for the Vancouver Canucks. Be flexible. If you're too busy to workout, or simply don't feel up to it, take a day or two off. Be gentle with yourself if you need a break. The important thing is to get back on track as soon as you can. Now that you've regained your enthusiasm, get moving. Set your goals, make it fun, and pat yourself on the back from time to time. Remember, physical activity is for life. 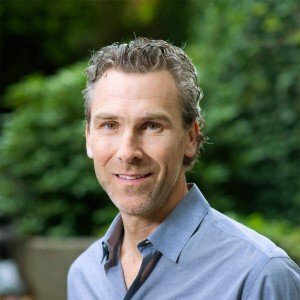 Trevor Linden played 20 seasons in the NHL from 1988 to 2008 and is currently the President of Hockey Operations for the Vancouver Canucks, where he spent 16 of his on-ice seasons, earning him the nickname "Captain Canuck". He was named captain of the team at the age of 21, making him one of the youngest captains in league history. In that capacity, he led the team to the Stanley Cup Final in 1994. In 1998 he was elected President of the National Hockey League Players’ Association (NHLPA), a position he held for eight years. Off the ice, Linden has taken an active role in charities, and was awarded the King Clancy Memorial Trophy for leadership on the ice and humanitarian contributions off the ice in 1997, as well as the NHL Foundation Player Award in 2008. Linden has been recognized for his professional and charitable efforts with the Order of BC and the Order of Canada. Linden’s jersey, number 16, was retired by the Canucks on December 17, 2008, and was the second number retired by the team. Since retiring, Trevor has entered the business world with the same focus he took to the ice for 20 years. His dedication to the community continues to make him one of Canada’s most respected athletes. Fitness and high-performance continue to be a big part of Trevor’s life. He enjoys cycling and cross country skiing and has completed several international races in both sports. He is excited to be a Champion for the Canadian Men’s Health Foundation, and to continue inspiring healthy lifestyles and build healthier communities in Canada.